Reach BKK at 05:05 Am. Take a flight from BKK at 08:50 Am. Reach Bali at 02:15 pm. Reach Bali Airport. The island of god. 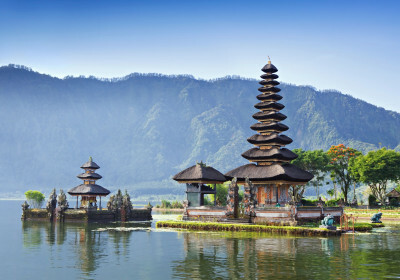 On Arrival at Bali take on Arrival VISA & complete the custom process. Transfer to hotel. Check in at Hotel. Freshen up & Rest. After Sunset Dinner Cruise by Bali Hai on SIC basis Overnight at Hotel. After Breakfast visit Full Day Tour: Witness the age old Barong Dance, then into the art village of Ubud –Village (famous with its silver & Goldsmiths jewelry, Wood carving, Balinese Painting and other unique Balinese Handicrafts) etc. Then continue to the spectacular mountain resort of Kintamani the volcano,Having coffee break on the top of the hill while looking out over Mount Batur and its placid crater lake. Drive on to Tampaksiring with its Holy/Healing Temple, return to Hotel & overnight stay. After Breakfast enjoy Half Day Tour with Benoa water sports including 01 round of Banana Boat + parasailing + jet ski on private basis. Overnight at Hotel. After Breakfast Day Free for your Leisure. Overnight at Hotel. After Breakfast check out from Hotel & Transfer to Seminyak. On Arival Check in at hotel. Overnight at Hotel in Seminyak. After breakfast check out from hotel & transfer to Tnah Lot Temple Tour – Transfer to Next hotel -On Arrival check in at hotel. Overnight at hotel in Seminyak. Any other meals other than specified above. Any item of personal nature like tips, laundry, telephone calls etc. Indonesian Visa On Arrival is now FREE for Indian Nationals. if the guests miss the SIC transfers then they will have to reach the activity area on their own. Water sport activities are strictly subject to weather conditions, especially Parasailing. the guest will be offered a replacement of some other available water sport but there will be no refund as such. Parasailing as mentioned above is an issue most of the times due to strong currents. – but of course there is an extra premium attached to it & the guests will be informed accordingly.